It’s easy to be tempted to aim solely for greatness. To continually compare and assess your exploits against those of your peers or others within your field. And in doing so, it’s easy to become impatient and demoralised by our apparent lack of progress. I can’t guarantee that success is around the corner. I don’t know if it will take weeks, months, years or decades to achieve your goals. But if you work hard every day and stay focused on improving your skills and results, greatness will come. And what I love about this concept is that it’s not reliant on others, or circumstances, or luck, or talent alone. These factors may speed up the process or make it seem easier, but you don’t get to control them. 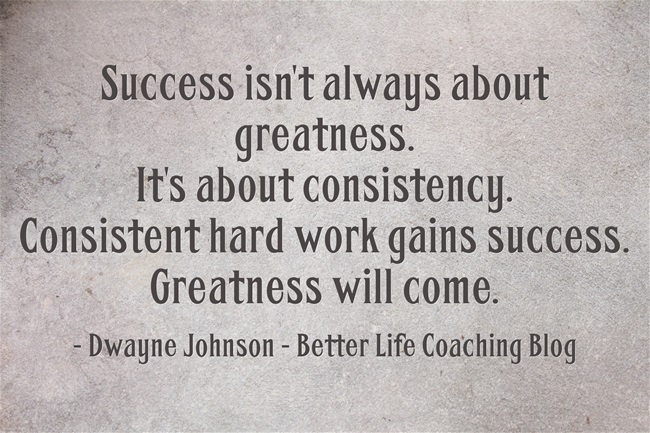 But you do get to control how consistently you work.